Stand-up Comedian Rickey Smiley Is A Father of Two Children; Who is the Mother? When we usually talk about world-famous stand-up comedians like Amy Schumer, Freddie Prinze, Daniel Kitson, and Sarah Silverman, we can never miss someone like Rickey Smiley. Making humor is always an easy task for Smiley but he's completely silent when it comes to his personal life. Earlier in 2018, he was rumored to be dating American TV personality, Porsha Williams. Though his family life is in perfect shade, his fans always try their best to find out details about his romance. Are the two actually dating? Let's get the details in today's session. 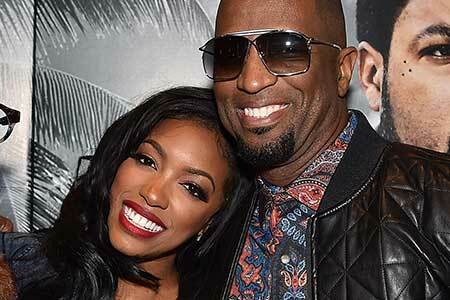 Rickey Smiley's Relationship With Porsha Williams; Are The Two Dating? Stand-up comedian Rickey Smiley was rumored to be in a relationship with The Real Housewives of Atlanta entrepreneur Porsha Williams earlier in 2018. Speculations about their romance started when Smiley spoke about his possible romantic future with Williams on The Wendy Williams Show earlier in January 2018. "Porsha's a southern belle. She's awesome. She's kind. She's friendly. She's a lot of fun to hang out with. We hang out sometimes. When we all hang out, we have a good time. You know, just a good southern belle that's really wifey-like. She's a good catch." "I've hung out with Porsha and been with Porsha and her family. Those are really, really good people, and she would definitely make someone a great wife, definitely." Williams also showed similar emotions for Rickey while appearing on Watch What Happens Live with Andy Cohen. According to Porsha, there was only a single problem of becoming more than just friends with Rickey. "It's just not good to mix pleasure with your professional life. It's just not good, because I feel like what if it doesn't work out, you know what I'm saying? Maybe we'll do like a pact. So if I'm 40 and I'm not married, Rickey, come on!" "Chemistry like this that happens in these type of situations, he doesn't work somewhere else. We work together. So it's not easy to make that decision to cross that line." Further, she emphasized that Smiley will be a great husband and an excellent father. She, however, mentioned that they're just friends. She wants to get married and bear kids in the future and she expects everything to go natural. Williams was previously married to Kordell Stewart who divorced in 2013. It's been months since Smiley and Williams made headlines regarding their rumored relationship. As Smiley is low-key regarding his personal life we never know what's happening between the two. We wish to know more about Smiley and his personal life soon in the following days. The fact may surprise you all but the fact is, Smiley has a number of kids in his family. He has two biological sons named Brandon Smiley and Malik Smiley. But Smiley has never spoken a word whether it's from his past relationships or they are the result of modern technologies. Some sources, however, reported the comedian to be a divorced man but there is no information regarding his former wife and separation from her. He has almost 10 children in his family along with an adopted son named Craig, two adopted daughters Aaryn Smiley and D'essence Smiley. During an interview in June 2014, he revealed that his father was murdered when he was just 7 and that's the only thing that affects a lot in his life. "I enjoy being the best father I can be and being an awesome father to the fatherless. My dad was murdered and taken away from me when I was 7, so I know what it’s like growing up without a father even though I had an awesome granddad and uncles. But to be able to fill that void for somebody else is just incredible. I would actually pay money to do it." Being a loving and caring father is simply not a cup of tea for all. Looking at his Instagram posts, his is enjoying his days being a father. Born on 10 August 1968 in Birmingham, Alabama. He is best known for his prank phone calls. 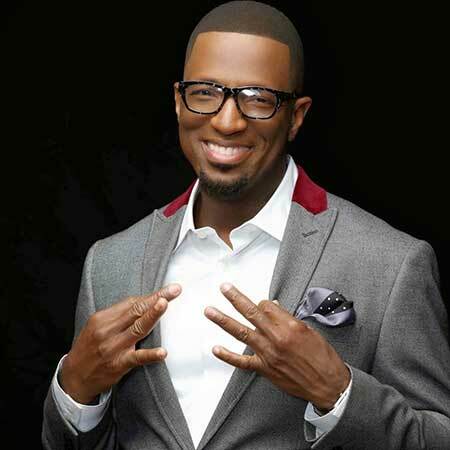 He is the host of the widely popular Rickey Smiley Morning Show. He is the member of Kappa Kappa Psi National Honorary Band Fraternity, Inc. and Omega Psi Phi Fraternity, Inc. He played a lead role in Ice Cube's Friday After Next with Mike Epps, John Witherspoon, Anna Maria Horsford, and Terry Crews. He has an estimated net worth of about $5 million at present.